This week in the RBE Library, 5th grade students will be enriching their learning about the American Revolution, with a webquest about the Declaration of Independence. This was a very important and exciting time in our nation’s past that we want our students to not only understand, but experience. 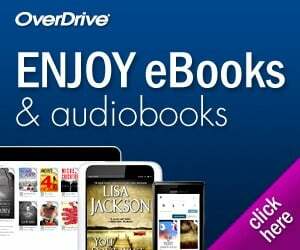 Click here for the Activity Page referred to below. For the Activity Page Rubric, click here. Following this research activity RBE students will create a Political Cartoon using iPads and a combination of the DoodleBuddy and ComicLife apps. Some students will use Publisher on the computer to create a comic strip as well. Click here for the Political Cartoon Rubric and click here for a blank draft of the comic strip. Activity #1: Write down 3 questions you have about the Declaration of Independence on your activity page. As you come across the answers during the course of this activity, be sure to come back to them and write down the answer and your source for the answer! Activity #2: Read the following excerpt and complete the Cause & Effect diagram on your activity sheet. Activity #3: Read more about John Adams. He played an important role in the forming and early governing of this nation. What role did he play in the 2nd Continental Congress and with the Declaration of Independence? Fill that in on your activity sheet. Begin Activity #4: Time to Part? Was it time for the American colonies to declare independence from Britain? 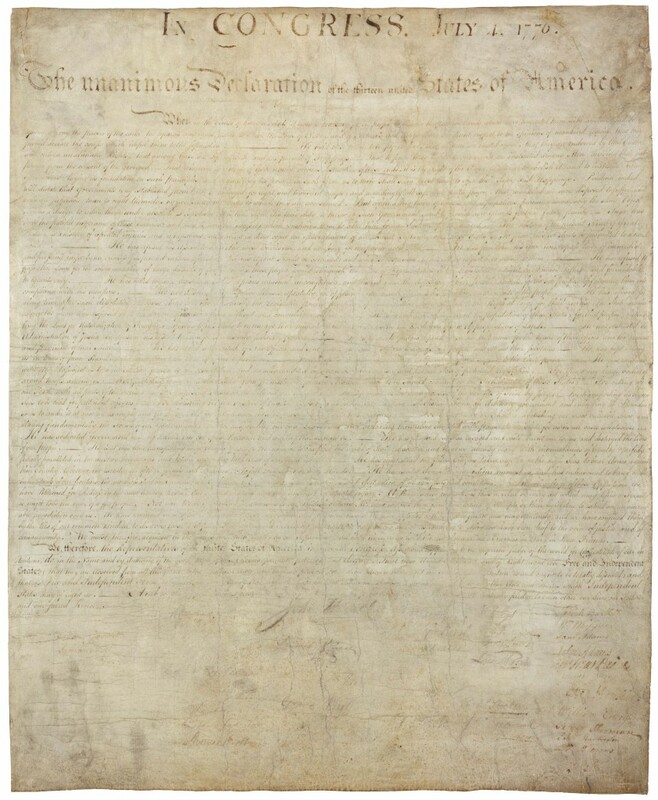 Click here to read about the 2nd Continental Congress’ decision to declare independence. 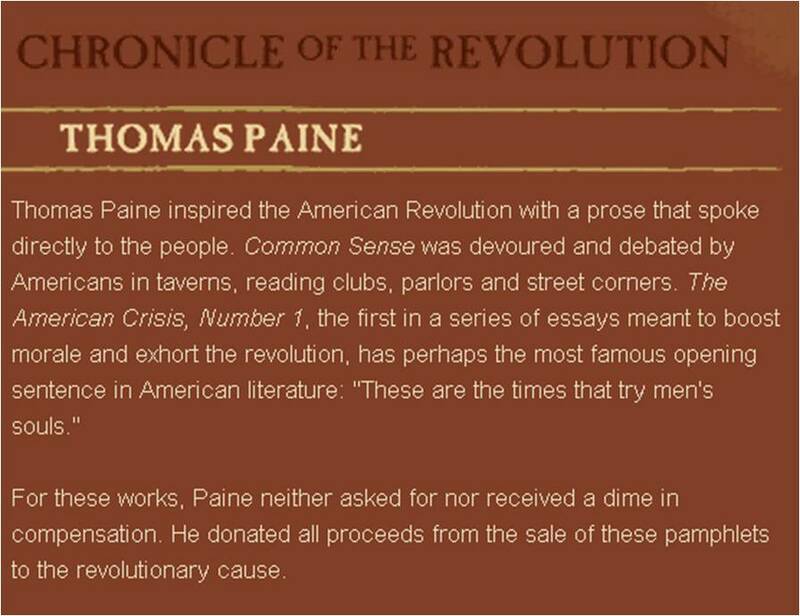 Then, read about Thomas Paine and his famous pamphlet, Common Sense below. Activity #4: Watch the video below of the vote to declare independence. Also look at the pictures of Independence Hall and the Continental Congress. 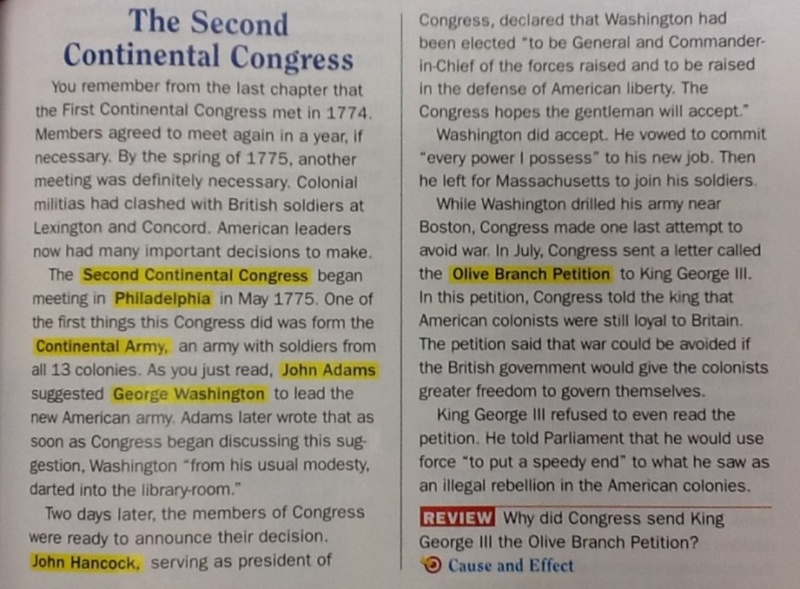 On your activity sheet, write what you would have done during this vote as a member of the Continental Congress. Write as a journal entry like the example provided. Read about when and who signed the Declaration of Independence on Ben’s Guide to US Government for Kids. Then, read about the Declaration of Independence from The Charters of Freedom courtesy of the National Archives. 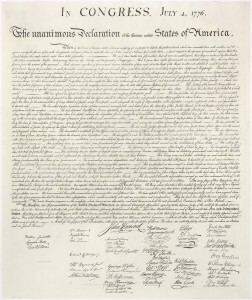 On the National Archives page, click on the image of the Declaration of Independence for details about the original document. Activity #5: Thomas Jefferson was an important revolutionary leader. 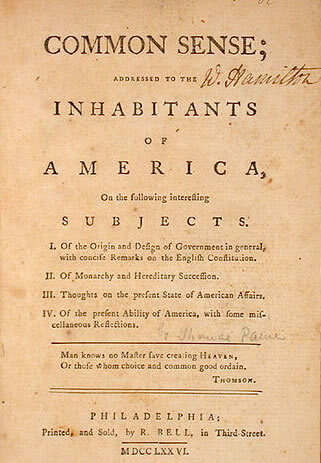 Read more about him.What was his role in the writing of the Declaration of Independence? Watch the video below from National Tresure, where they talk about what the character in the movie thinks is the coolest line from the Declaration of Independence. Then, read over the other lines on your activity sheet taken from the Declaration of Independence. You can use the Dictionary Search box on the right side to look up words you don’t know. Which do you think is the coolest line? Vote here when you decide! This is the end of your Declaration of Independence Webquest. Make sure that you answered your 3 questions in Activity #1 that you wrote down at the beginning. If you didn’t find all the answers you are looking for, feel free to come visit with me in the library and we can hook you up with some great books! Also, ever wonder what’s on the back of the Declaration of Independence? Click here to find out! 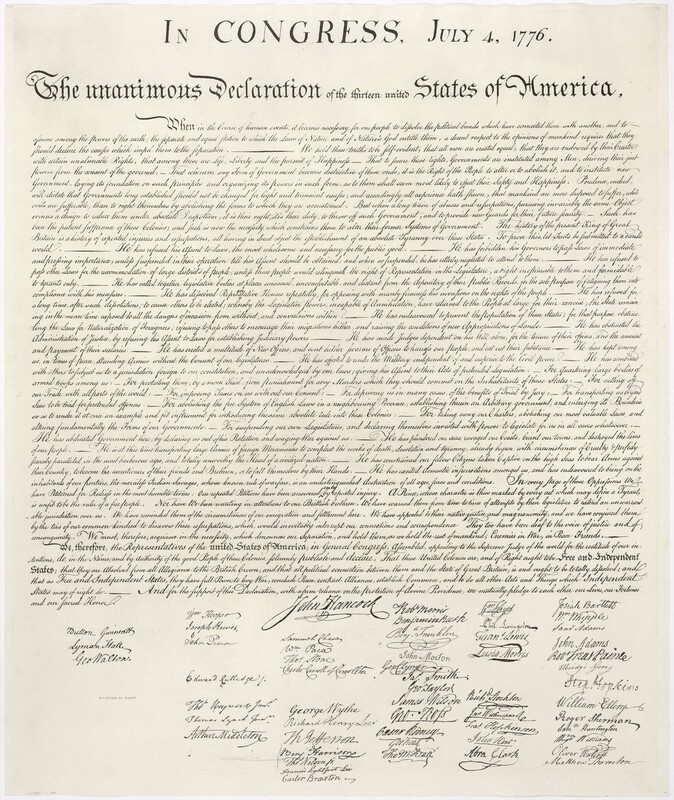 Also, if you would like to, you can add your signature to the Declaration of Independence and print it out by clicking here! This is a REAL thing people! Hope that everyone is glad that Thomas Jefferson wrote that so that we can have freedom! If he didn’t write that, then we won’t have any freedom, peace nor a good life. If you’re that person, would you be glad that you did this for your people? For me, I would have. You know you are right because if Thomas Jefferson did not write the Declaration of Independence we would be still ruled by King George lll. I think by far 1 is the most important. All people should be created equal no matter what gender or race. I choose 4 because we all need freedom.But in some place people don’t have freedom. I chose this line because it stands out to me. I totally agree… IT WAS SO FUN!!!!!!!!!!!!!!!!!!!!!!!!!!!!!!!! I pick #1 because it speaks the truth about having freedom. number one because it shows that we are all free and have the right to be happy and we can live a life that is good for us and not just one person as a whole.the king should not tell us what to do. I like #1 because it lets us be free! So why did Britain want to have a war with the Colonies? Weren’t they already in debt from the French+Indian war? I chose #1 because it sounds so powerful to me!!! I chose 5 because it talks about friends and peace, we all need friends and peace. Number one b/c all man are truly equal. We are all created equal and have 3 rights that no one can take from us.These are life, liberty, and the persuit of happiness. I picked number 6 because it shows that Thomas Jefferson belives that god is on it’s side. I picked number one because it tells that all men are created equal. #1 because it staes that all are equal. I choose line#1 because I agree that all men are created equal. I also agree with #5 because are voices need to be heard. There are several broken links on this page. John Adams, Thomas Jefferson and Ben’s Guide links are all broken. Line 6 is for me.